If you truly love tomatoes, good tomatoes, you eventually have to grow tomatoes. Because no matter how good one you buy might be, it won’t be as good as one you pick from your backyard minutes before eating it, when its skin is warm from the sun and its flesh so juicy that it covers you in red when you bite in. 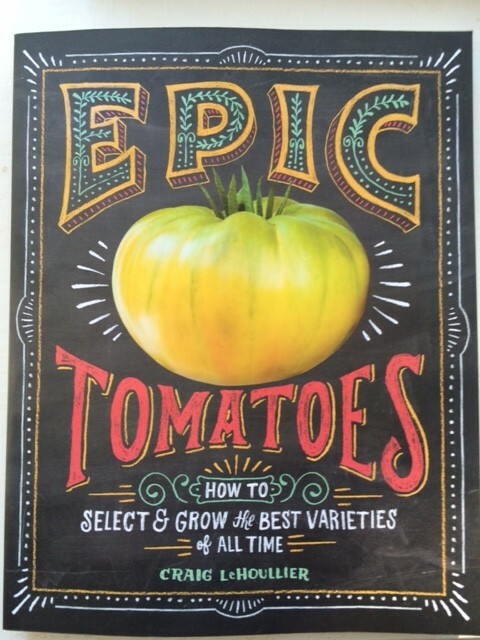 Luckily for tomato lovers, “Tomatoman” Craig LeHouillier of Raleigh has finally produced his long-awaited book, “Epic Tomatoes: How To Select and Grow the Best Varieties of All Time” (Storey Publishing, $19.95). When I met Craig years ago, he couldn’t park his car in his garage or driveway because both will filled with plants and seeds. Although at that time he was a chemist at Glaxo, his true passion was heirloom tomatoes. Heirlooms – those tomatoes that taste like Daddy’s did, with names and stories worthy of a novel – were dying out in some cases, hard to find in others. Craig decided to save them and popularize them. And he is credited with bringing back the Cherokee Purple, a tomato many connoisseurs consider the Perfect Tomato. He also fed the hunger of area tomato lovers for several years by organizing Tomatopalooza, a free-for-all tasting extravaganza. A few years ago, Craig went full-time into tomatoes, focusing on a project to create dwarf versions of the often tall and unwieldy heirlooms, allowing container gardeners to enjoy their flavor and variety. He hosts tomato dinners are area restaurants during the summer; find out more by following him at @nctomatoman. At a signing for the book recently at Quail Ridge Books, the co-founder of Seed Savers Exchange called Craig “a national treasure.” It’s not an exaggeration. 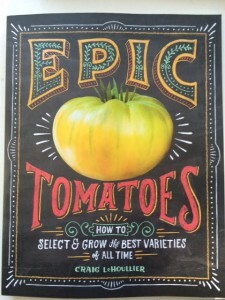 “Epic Tomatoes” is one of those books that gardeners love to get in February when a high of 29 is predicted. It has gorgeous photos and clear instructions that should help those who have never tried growing tomatoes from seed through the process. There are even a few recipes, including a roasted tomato sauce that I’d like to try….but not until July.